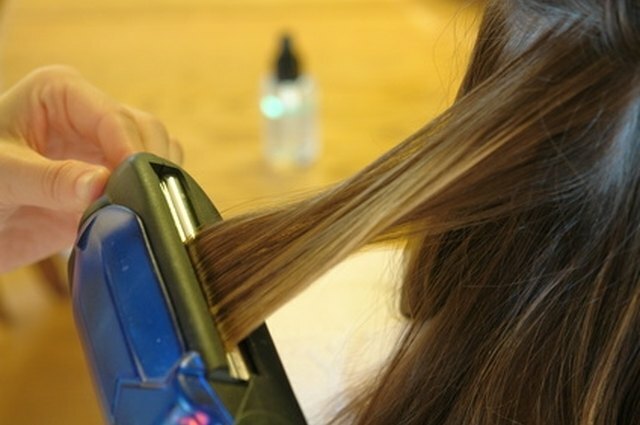 Permanent hair straightening is a hair relaxing technique that works in a similar way to permanent coloring. If you are tired of the daily grind of straightening your hair with a blow dryer or flat iron, then permanent hair straightening may be for you. However, there are a lot of factors that contribute to the cost of this process. Make sure that you are aware of everything involved in permanent hair straightening before you do it. 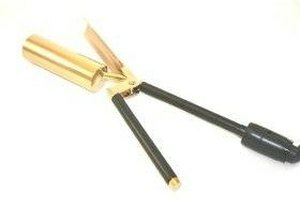 Permanent hair straightening irrevocably breaks the bonds in your hair that give it a curly or wavy texture. This type of straightening requires harsh chemicals that can burn your scalp and also damage your hair in ways that you do not intend, such as causing dullness or split ends in addition to straightening it. Often, the greatest cost involved in chemical hair straightening is the protective maintenance that it requires before and after the procedure. Because of the chemicals and the long procedure and post-processing steps that help keep your newly straightened hair intact, permanent hair straightening takes a fair amount of time. As a result, having the treatment in a salon can be expensive unless you allow your stylist to work in other appointments around your treatment. Ask about this if you want to try and cut down on your costs. Permanent hair straightening is not really permanent. The chemicals will permanently straighten the hair that they treat, but--like perms and dye jobs--the effects grow out as your hair grows. As a result, you need to factor into the equation that you will need to get your hair "permanently" straightened every four to six weeks. When you are considering getting your hair permanently straightened, factor in all of the costs, not just the costs of the chemical treatment itself. Also factor in conditioning treatments, protein treatments and maintenance. Permanent hair straightening may require you to switch to a different shampoo, conditioner and other styling products to maintain your look. All in all, the process itself generally costs between $150 and $1,000. Another $100 to $200 is spent on maintenance products. Unfortunately, a "deal" in hair care is seldom really a deal, so you should very carefully evaluate the potential for disaster if you opt to go in at the very lowest end of the cost spectrum. Many people think that permanent straightening means that your hair will remain straight permanently. However, it actually tends to mean that your hair will be wavy if it used to be curly, and it will be straight but frizzy if it used to be wavy. As a result, you will probably still need to style your hair each day, although it may take less time than it used to and be far more manageable. Permanent straightening products often contain lye and other harsh chemicals that can hurt your scalp. Used incorrectly, they can cause serious burns. Make sure that you follow the directions on the product or from your stylist to the letter. If you do not or if you experience a severe reaction, get help immediately to avoid further injury.